Sapphire debuts the Radeon HD 6950 Toxic Edition. It claims to be the fastest Radeon HD 6950 thanks to a 880MHz core and 5200MHz memory. 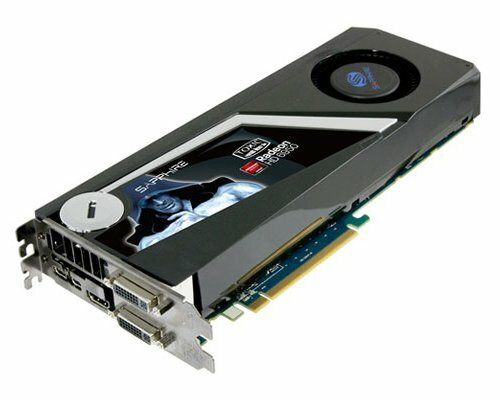 SAPPHIRE Technology – the world leading supplier of graphics solutions, mainboards and other PC products - has just announced the SAPPHIRE HD 6950 TOXIC Edition, the fastest production card in its class. The SAPPHIRE HD 6950 TOXIC Edition ships with clock speeds of 880MHz for the core and 1300Mhz (5.2 Gb/sec effective) for the memory making it the fastest production HD 6950 on the market. This has been achieved by building the card on a high specification PCB with digital VRMs for excellent power regulation and 8 + 6 pin power connectors. It has a high performance cooler featuring a Vapor Chamber, blower fan and a new perforated backplate to increase airflow out of the system case. Like the standard HD 6950, the SAPPHIRE HD 6950 TOXIC Edition boasts true DX 11 capability and the powerful configuration of 1408 stream processors and 88 texture processing units. A Dual BIOS feature allows enthusiasts to experiment with alternative BIOS profiles and settings. Performance can be further enhanced with SAPPHIRE TriXX – the company’s dedicated overclocking tool which allows memory and core clock speeds and voltages to be modified and monitored and is available free to download. With its two DVI, one HDMI and two mini-DisplayPort outputs, the SAPPHIRE HD 6950 TOXIC Edition supports a wide range of monitor configurations, including AMD Eyefinity with up to four screens. The SAPPHIRE HD 6950 TOXIC Edition has the latest Gen3 on-board hardware UVD (Unified Video decoder), considerably reducing CPU load and delivering smooth decoding of Blu-ray™ and other video content for both VC-1 and H.264 codecs, as well as Mpeg files. The UVD can decode two 1080p HD video streams simultaneously and display HD video in high quality with Windows Aero mode enabled. The card has HDMI 1.4a which also supports Stereoscopic 3D output. The SAPPHIRE HD 6950 family is supported by AMD's DirectX 11 WHQL certified graphics driver which delivers support for all of the key DirectX 11 level features required for new gaming experiences and acceleration of the latest generation of browsers, transcoding and other high performance applications (AMD APP acceleration).